Celebrity Sandwich Contest with Port of Subs! 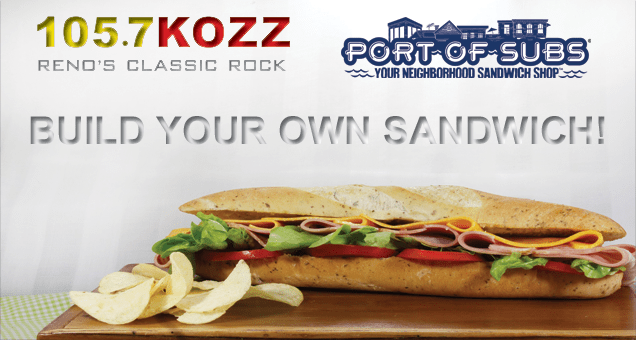 105.7 KOZZ Has Teamed Up With Port Of Subs To Give You A Chance To Become A Local Sandwich Celebrity By Submitting Your Own Sandwich Idea! Submit Your Recipe At Sub@Kozzradio.Com , You Must Use Only Port Of Subs Ingredients FOUND HERE. Each Submission Must Include Your Contact Info And Name. Complete Rules And Details Online HERE.